Enjoy enhanced sound clarity on your landline calls with the Gigaset A510A, which features HSP technology for distortion-free conversations. The stylish handset benefits from an illuminated 1.8” display (with a choice of 4 backlight colours to suit your preference) and a high-quality keypad with separated buttons for easier navigation and dialling. Also an environmentally friendly DECT phone, the A510A features Gigaset’s Eco Mode Plus for radiation-free performance and lower power consumption. The integrated answering machine on the base of the Gigaset A510A will reliably take calls and record messages when you're unavailable. Recorded messages can either be played back using the built-in controls on the base, or via the cordless handset (which will indicate on the display whenever there has been a missed call or a new message) and you can record your own personalised outgoing message. 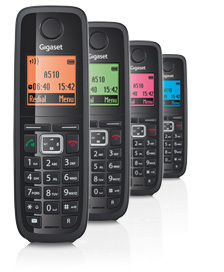 HSP™ technology ensures that sound quality of calls on the Gigaset A510A are exceptionally clear. The handsets comes equipped with a convenent hands-free loudspeaker, which also benefits from the same brilliant sound and the volume can be adjusted easily to suit your preference. 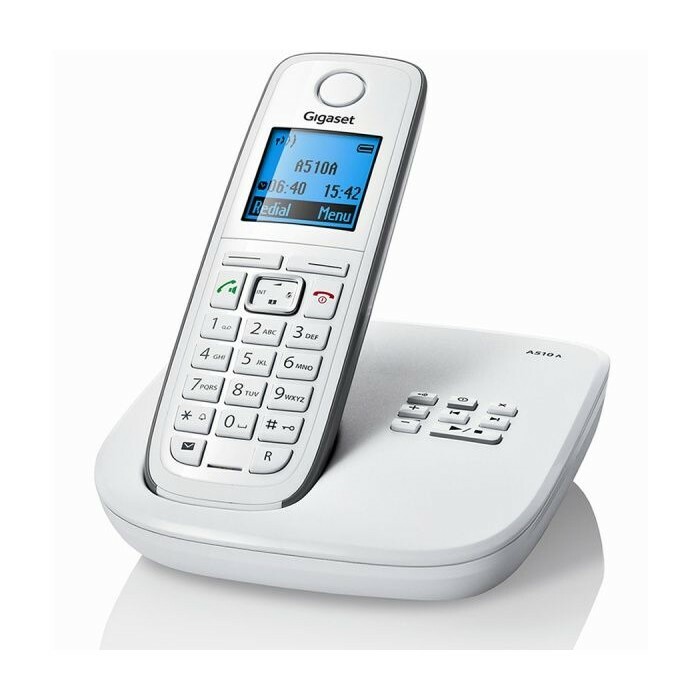 With a dependably long talk time of up to 20 hours and a standby time of up to 220 hours when fully charged, the Gigaset A510A enables you to chat for as long as you like, whenever you like. And with its reliable indoor and outdoor range, you can talk comfortably without any deterioration in sound quality even when far from the base. And when using the convenient loudspeaker on the handset, you benefit from HSP for clear sound and can adjust the volume easily to suit your individual needs.